We had fierce thunderstorms here yesterday evening. Lots of wind and thunder and lightning. Storms like these always remind me of my mom, Gladys MARTIN HEISER (1921-1999). My mom was terrified of thunderstorms. When my sister, Joyce, and I were growing up, at the first sign of a thunderstorm, Mom would close all the blinds in the house and insist we go to the basement. Once she became unable to climb the steps easily because of arthritis, she would have us sit with her in the living room until the storm passed. In either location we had to be quiet, and we weren’t allowed to use the phone or run water. Our dad, Charles Leroy HEISER (1913-2001), has a different way of handling thunderstorms. He would sit on the front porch and watch them! For a long time, I never questioned my mom about her way of handling storms. She was MOM, after all, and she knew best. But as I got older, I wanted to go on the porch with my dad during storms. He survived the storms just fine, and seemed to actually enjoy them. Joyce joined him sometimes, and she survived, too. Finally, I asked my mom why we had to stay inside, close the blinds, and all the rest. I didn’t know what to say. I clearly understood Mom’s storm precautions now. 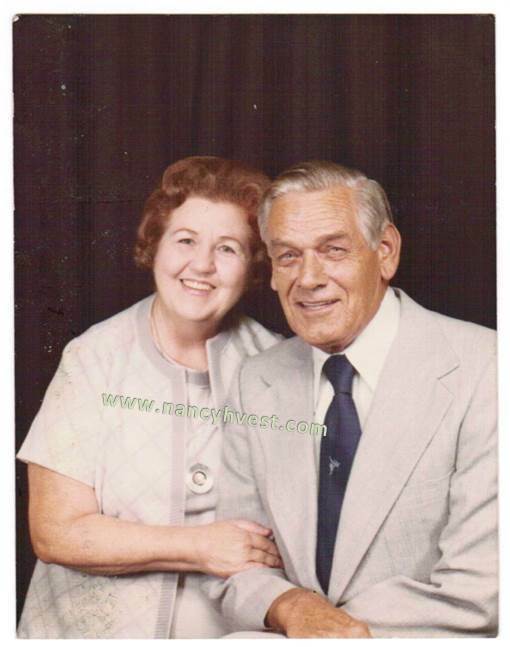 As we got older and more responsible, Mom no longer pressured Joyce and me to stay inside during storms if Dad was home and on the porch. It became our choice. Mom still stayed inside, though, whenever a bad storm came up. 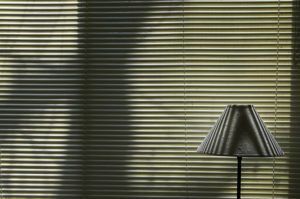 As the storms started yesterday evening, I instinctively reached over and lowered the blinds at the window by my desk. 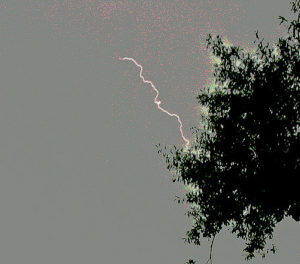 A little while later, though, I went out on the porch to briefly watch the storms. 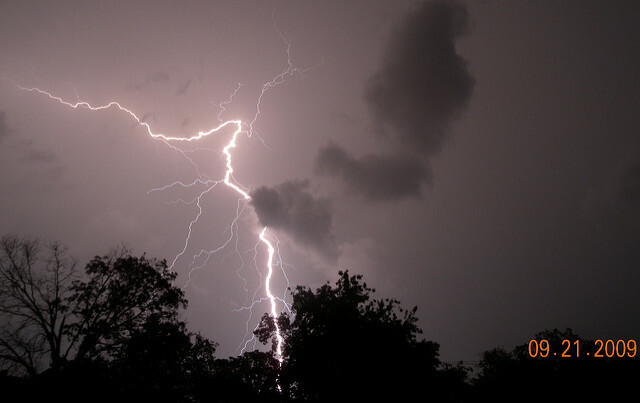 * Keraunoparalysis is a frightening and distressing complication of lightning strikes. The syndrome consists of limb paralysis, sensory symptoms, pallor, coolness and absent pulses. Release of excessive catecholamines is said to be responsible for these findings. Fortunately, the condition is transient. As children we usually don’t know the traumas our parents experienced and how it has shaped their behaviors to us and towards the world in general. Lightening strikes, childhood starvation or deprivation, abuse, war, any number of negatives that impacted upon our now adult parents lie buried in their memories. Finding out those traumas and experiences depends upon our parents’ willingness to talk about them… not always an easy thing for them. Wow! What a terrible experience for a child. It’s so fortunate she survived. I certainly don’t blame her storm protocols! Thank you for sharing.